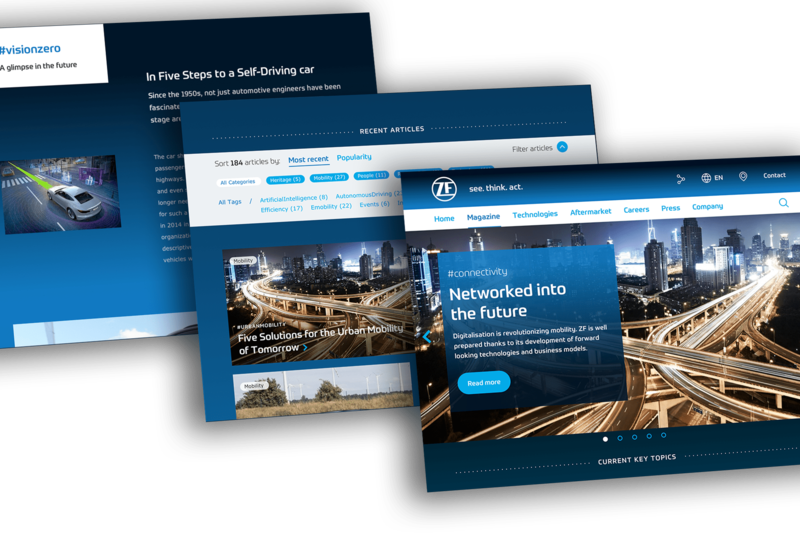 We created a forward-looking website for technology group ZF Friedrichshafen. The group’s position as a global technology leader is underscored by the strategic concept behind the website’s reorientation and its fresh design, which is highly distinctive and recognizable and works across all devices and markets. 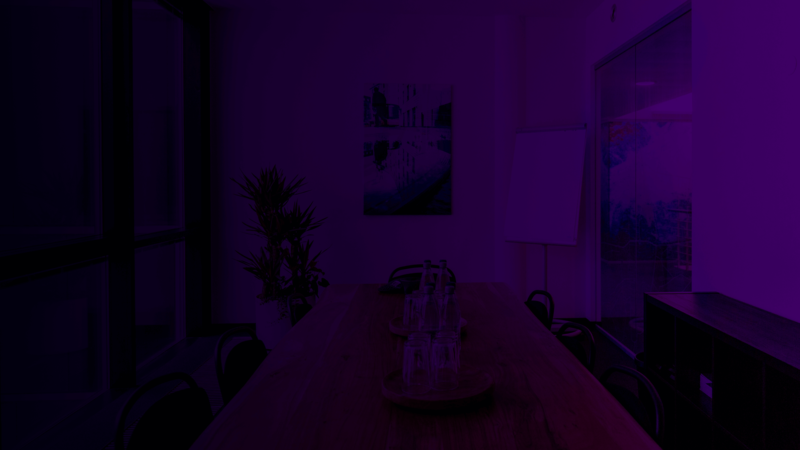 The group’s international website was renewed from the ground up – from its concept to its design and implementation. The focus of the project was on a modern, responsive design and sustainable execution that enables targeted and variable content logistics. The result is that ZF is now able to choose from a wide palette of content modules and position them flexibly within a grid. It facilitates an attractive arrangement of different types of content such as images, text and video. 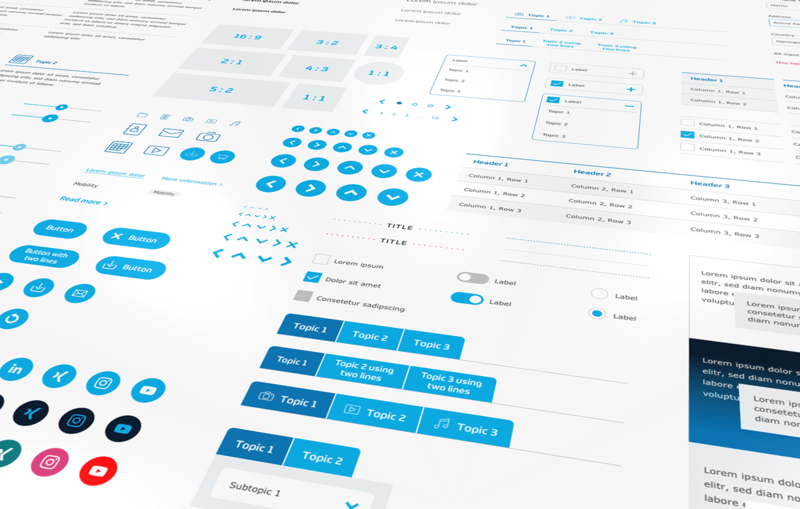 Existing components such as website headers and footers, a search and filter function as well as the navigation system were carried over into the new interaction principle and realized in HTML, JS and CSS. Website functionality is expanded through dedicated applications like the ZF product finder and an event calendar. ZF can use the flexible content modules to create content quickly and combine it in a variety of different ways. 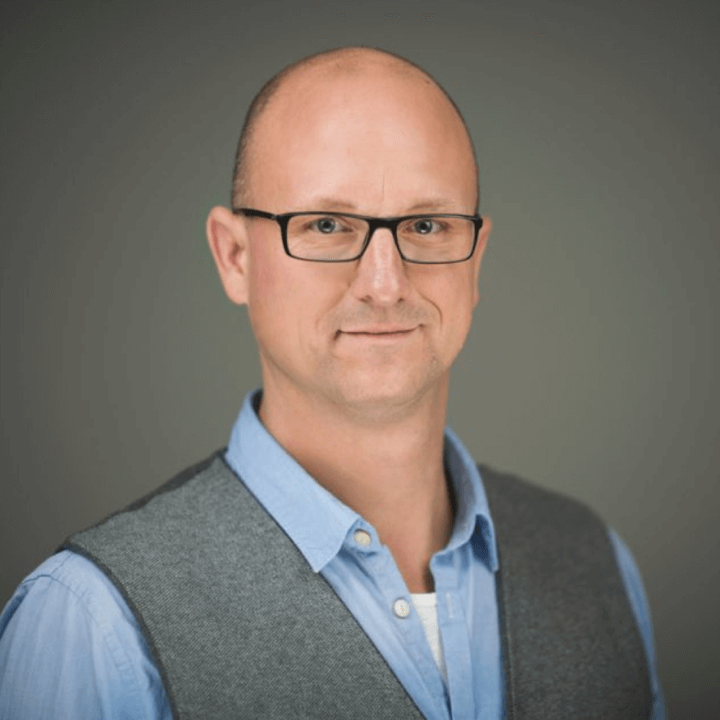 By providing ongoing content and technology support, we’re helping ZF to maximize its digital potential, make optimum use of the available tools and provide users with relevant information. 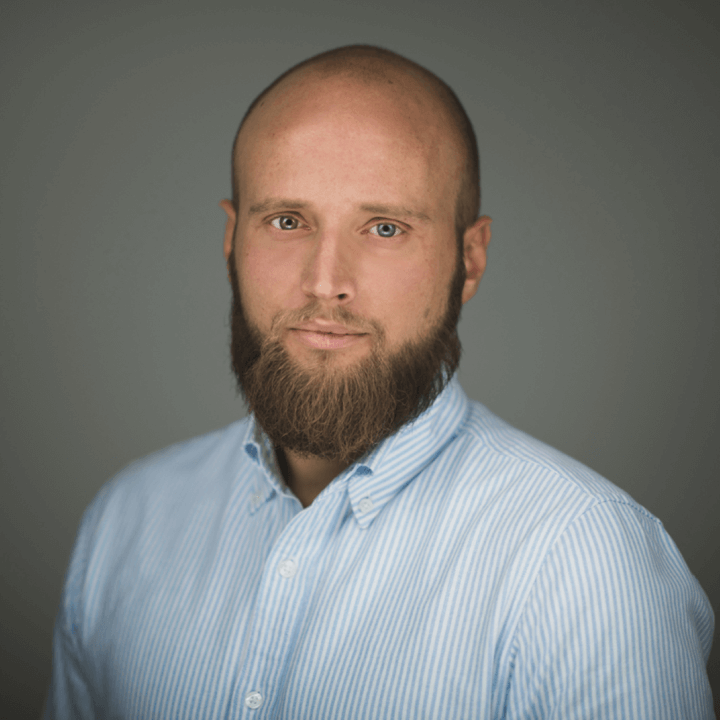 The structure and function of the market and country pages are now embedded into the global website and have been reoriented across the board. In workshops with ZF, OSK Berlin developed the role of the individual country pages and defined digital content appropriate to that role. 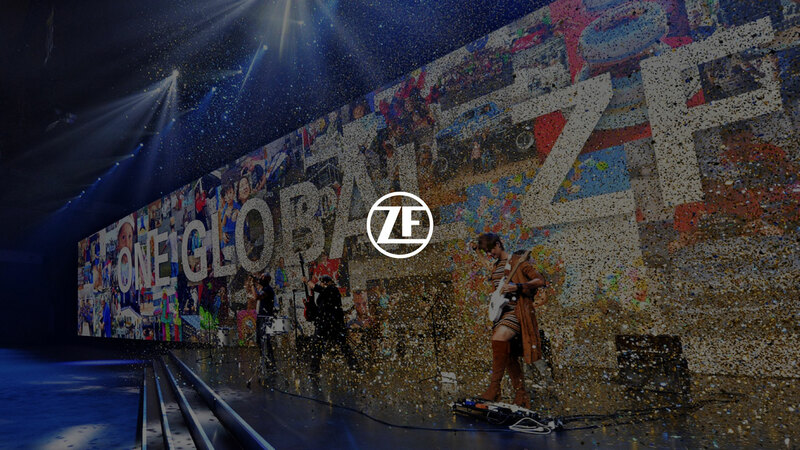 The resulting editorial guidelines assist editors worldwide to bring the ZF corporate identity into their countries and thus generate a consistent global experience. 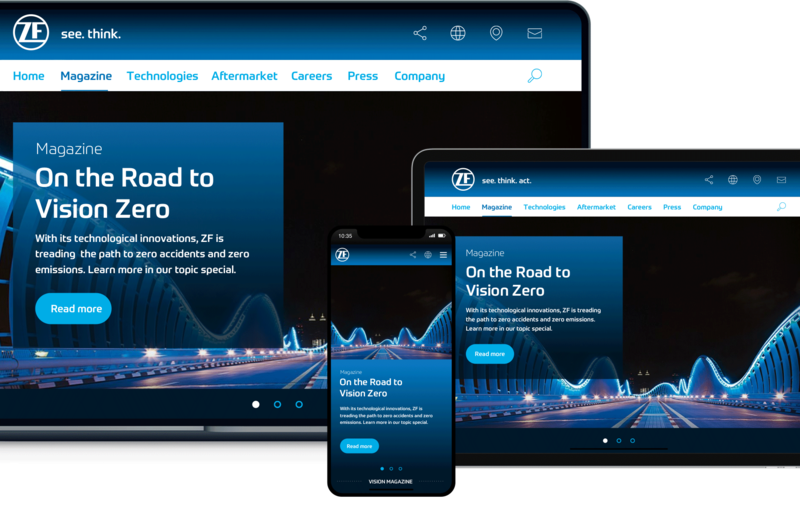 The ZF press site which provides journalists with the best possible support for their research now also sports the new look and redesigned user menus. Wide-ranging filter options and focused presentation of press content facilitate targeted workflow with maximum yield. 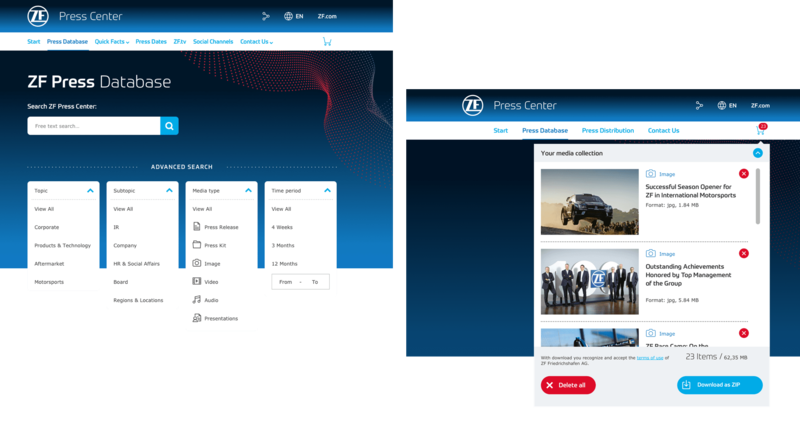 The flexibility of the new ZF design is also used to full extent here, as the content modules made it possible to structure the press site specifically for journalists’ needs. The VISION online magazine draws in readers with engaging stories, interesting background information and first-class content. ZF uses attractive videos, image galleries and text/image modules to participate in the debate centered on the future of mobility and the way we live together. The focus of the magazine is on powerful visuals and enjoyable reading. Extensive filters and keyword searches help readers find content and topics that are an exact match for their interests. This is how contemporary exhibits work in the 21st century. The augmented reality app developed for the iPad Pro brings to life the engineering skill and power of modern Mercedes-AMG engines. 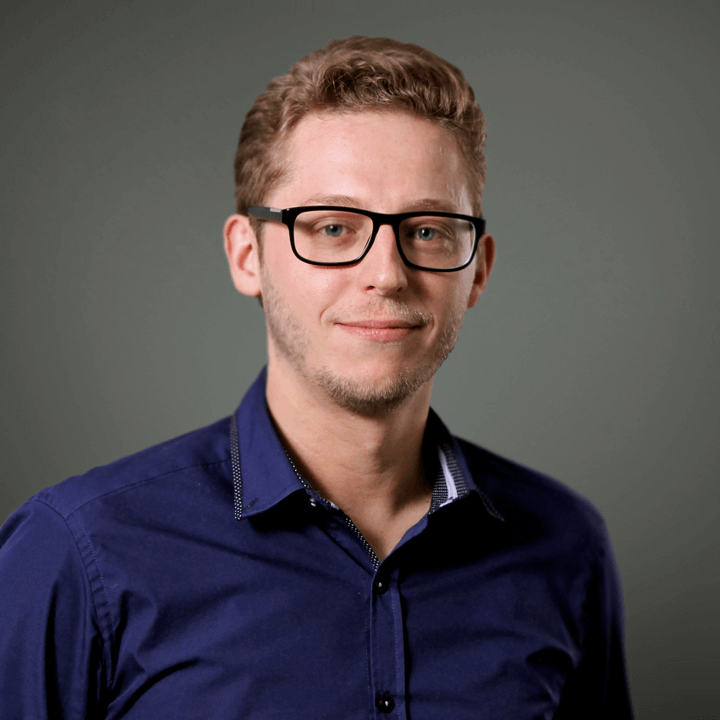 As a digital factory, we accompany the digital transformation of our customers from Berlin – both with simple products and with technological new developments.